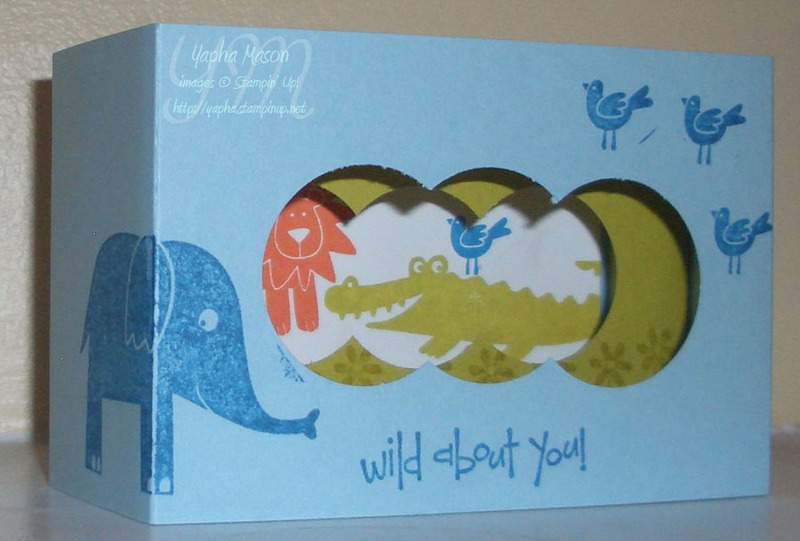 I don’t know about you, but I am Wild About this stamp set! Wild About You, believe it or not, is on the Last Chance List and will no longer be available for purchase after June 30th. Sad, but true! Don’t miss out on the cutest animals around! Here they are, featured on an adorable diorama card. Best thing about it? It folds down flat for easy mailing! We’ll be making this at Paula’s workshop on Thursday. 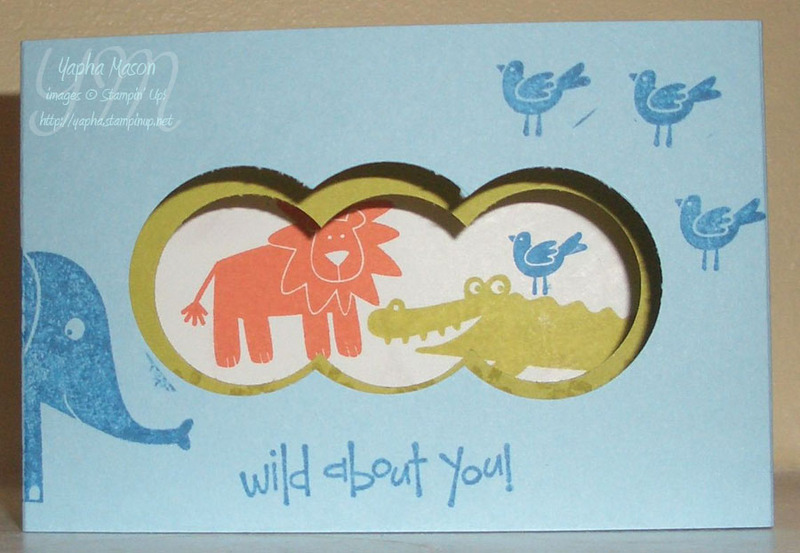 Want to learn how to make some great cards like this? Contact me to schedule a workshop today! Very cool stamp set for this diorama card. The link to SCS’s tutorial however isn’t quite working.